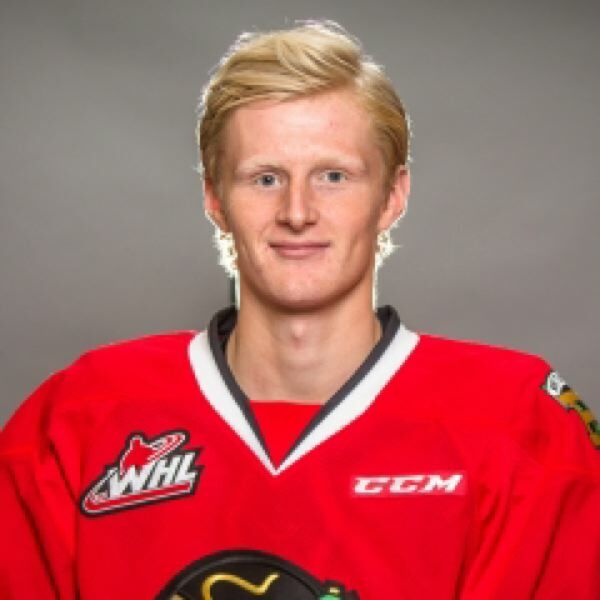 The Portland Winterhawks opened their 2018-19 Western Hockey League season with losses at Seattle (5-3) on Saturday and at Everett (3-1) on Sunday. But Portland got a win before either of those games with the surprise return of 20-year-old forward Joachim Blichfeld. The NHL San Jose Sharks prospect produced 114 points in his first two WHL seasons (119 regular-season games). He scored Portland's first goal of the season on Saturday and assisted on its Sunday goal. Blichfeld's arrival, while welcome, means another overage player will lose his spot on the roster. In the first two games, that was forward Conor MacEachern. Blichfeld's return also means Portland must part with one of the two European players it drafted and signed over the summer. In the first two games, 18-year-old Czech winger Michal Kvasnica played and 17-year-old Swiss center Dean Schwenninger did not. It's possible those decisions were made as soon as Monday. First-year European players cannot be traded so Portland will need to waive one of the rookies. In addition to Cody Glass, who was still at the Vegas Golden Knights' training camp, the Hawks remain without forward Ryan Hughes. Hughes is skating but not yet ready to play after recovering from offseason foot surgery. Penalties made the first two games difficult for Portland, who were shorthanded 14 times. The good news is the Hawks killed 12 of their opponents' 14 power plays. Two promising rookies scored their first WHL goals. At Seattle, 16-year-old Seth Jarvis scored twice and had several other chances (including a penalty shot that was saved by Seattle goalie Liam Hughes. At Everett, 17-year-old Jaydon Dureau opened the scoring off a feed from Blichfeld. The Hawks travel to Spokane (0-1-0-0) on Friday and are at Moda Center on Saturday (6 p.m.) for their home opener against Seattle (1-0-0-0). • Defenseman Henri Jokiharju, 19, is projected to make the opening roster for the NHL Chicago Blackhawks. Joikharju was not expected to return to Portland this season.